Read the CHI summary covering 14 topics on Congenital Hyperinsulinism here. 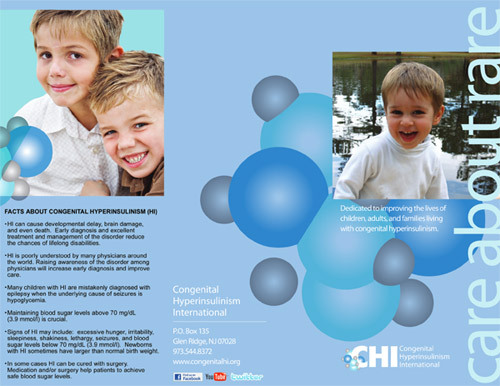 Click here or on the image below to read our brochure Facts About Congenital Hyperinsulinism (HI). Visit the National Center for Biotechnology Information (NCBI) website for Highlights of the Proceedings of the Congenital Hypoglycemia Disorders Symposium, Philadelphia, April 2016, with information written by Diva D. De Leon, MD, MSCE, and Charles A. Stanley, MD. For further information, please email info@higlobalregistry.org or call (973) 842-7559.